Australia—it’s big. But are we prepared for the worst? Ask yourself: how many times have I heard someone say, ‘she’ll be right’, or perhaps, ‘it won’t happen to me’? If you use HEMA's Desert Map, there's a prescient reminder of the risks of outback travel. 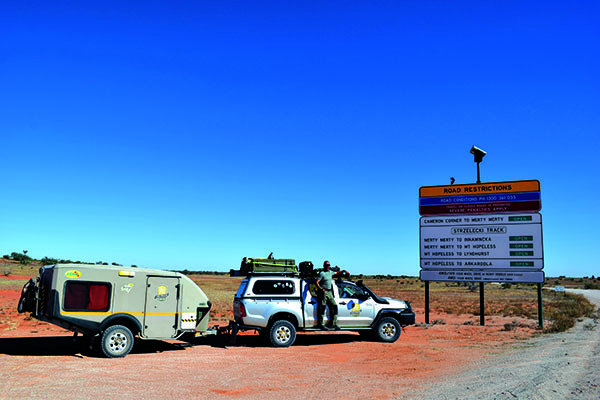 Just 100kms from Birdsville, there’s a map reference to the burial place of the Page family who perished in 1963 after running out of petrol during a heat-wave. While you might dismiss this tragic event simply because it occurred 54 years ago, when perhaps support networks or safety knowledge weren't as well known, similar incidents still happen—despite advances in technology and an increase in traffic along our desert tracks. 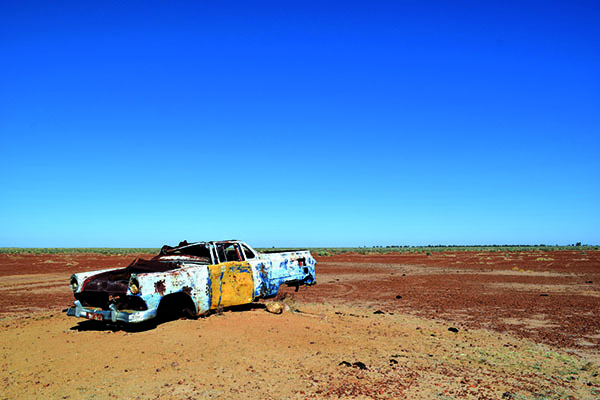 Think back, for example, to 1999 when a German couple got bogged on the way from the Oodnadatta Track to Lake Eyre. The female who left the vehicle to find help died from dehydration and exposure while in possession of 6.5 litres of water. Meanwhile, the bloke was found alive in the Toyota Landcruiser hire vehicle with over-inflated tyres for the terrain and with 2WD still engaged! 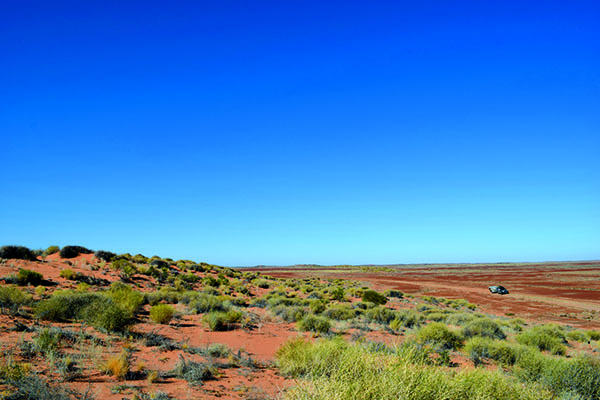 And how about the more recent example of the young man, in 2016, who was found dead from a snake bite after getting bogged in the desert near Coober Pedy. We could go on. Reflecting on these tragic incidents, we can tell ourselves that we know better, or, we can accept that none of us should become complacent. So, on that note, here are some tips to help you prepare, respond and prevail when the going gets tough in the hot sandy stuff. Someone needs to know where we're going. 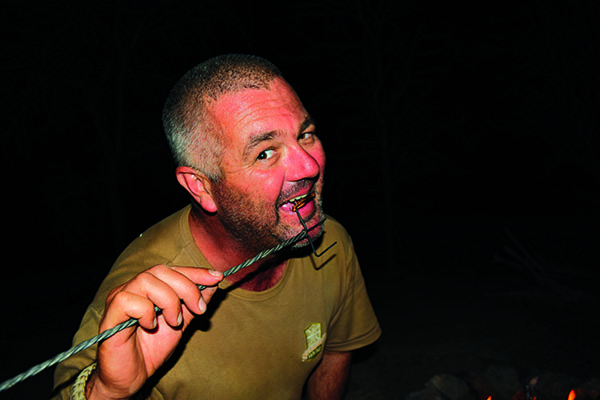 Outback travellers who make the news for the wrong reasons usually don’t do this, or deviate from their plans. Don't make the same mistake. Before setting off, leave your route with friends and family. We call this a 'Fridge-gram' (i.e., 'stick it on your fridge'—clever, huh?). It tells loved ones where you're going, what you're doing and when. So someone’s likely to notice if your plans go up in smoke. We need to take the right gear with us. Yes, it's important to have a well-set up rig, and the right camping gadgets. But, before anything else, we recommend you buy a Personal Location Beacon (PLB). 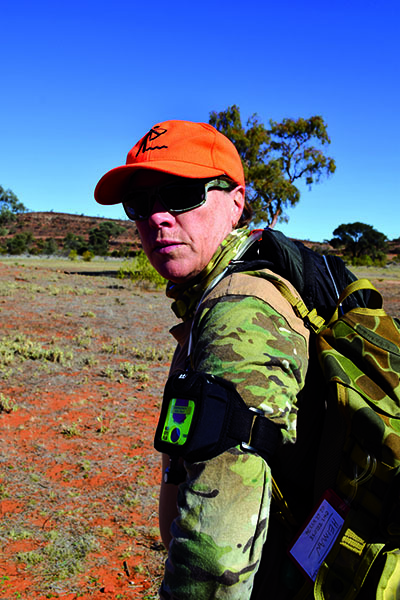 These days you can have an Australian-made PLB, guaranteed to bring a rescue team to your aid, for a mere $300. They have a 10-year battery life, warranty and no ongoing contract or payments. We’re not going to pretend to make you desert survival experts in the space of this column. But there are some basic principles that will help if you’re stuck in the desert. So, if you do nothing else, remember the following mantra: ‘Please Remember What’s First’ which stands for the priorities of Survival: Protection, Rescue, Water and Food. Then ensure , as a bare minimum, you always carry basic survival items, like matches and cordage, to maximise your chances of pulling through. And get yourself on a first-aid course. To use an old saying ‘safety is no accident’. And this holds true for desert survival just as it does in other walks of life. It starts by planning ahead to minimise the risks of misadventure, it involves telling others what we're doing before we set-off, and it requires us to know what to do when we recognise our safety and survival are in danger. That's the time to keep our wits about us, maintain a positive attitude and maximise our chances of rescue. Protect yourself from the sun by erecting a shelter. Make sure it faces south to maximise shade. But also consider the prevailing winds, which will dehydrate you during the day and make things colder at night. If you're with your vehicle, modify it to provide shade, preferably with natural materials, which provide cooler shade than manufactured products. You'll stay cooler during the day if you dig a sleeping pit in the sand under, or beside your vehicle. It might look like a freshly dug grave, but it may actually perform a reverse role and instead save your life. If you're on foot, make sure you can improvise with what you carry with you, and what's around. With a basic survival kit including a survival blanket, a knife and parachute cord, you'll be well on your way. If not, you’ll need to adapt any natural materials you can find. It seems really obvious to say this but—Stay With Your Car. No 'ifs' or 'buts'. Too many people die by failing to follow this Golden Rule. 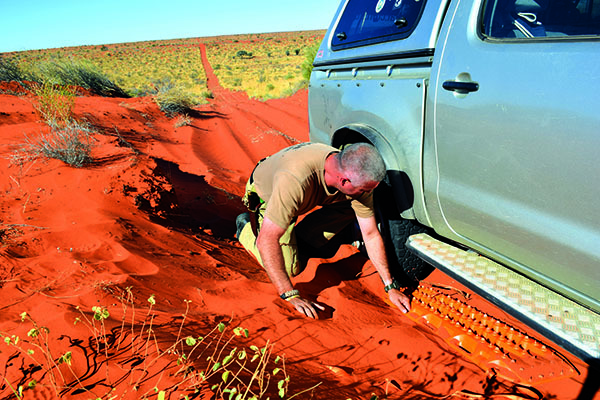 The fact is—in the desert—your vehicle is always going to be easier to find than you are. Simple. Then: strike a light. Learning to make fire without a lighter or matches is a great skill. In a survival situation, it could make the difference between rescue and oblivion. Fire provides warmth on cold desert nights, and the light of a flame can be seen for miles—and similarly, smoke can be seen during the day. But remember; you'll need to be burning a quantity of green vegetation with a volume about equal to your car if you expect to be seen sending smoke signals! Talking of your car. It's full of shiny things right? Like mirrors and windows? So, dust them off and string them up to catch the sun’s rays. They'll act as signal beacons in the wind. Conserve your energy and your sweat. This generally means resting during the day (9 until 3) to protect yourself from the sun. Then collect water and firewood in the cool of the evening. Look for rocky outcrops that trap water in crevices and dry river beds where the water will be under the sand. To locate underground water, dig on the inside bend near the greener foliage and grass. Many people watch for birds flying to water in the mornings and evenings. But look down as well. Kangaroos, for example, dig for water and rest in the cooler spots where the water table is closest to the surface. Remember too, that with proper prior preparation, you should already have a decent store of water available to you. As a planning figure, always have at least six litres of water with you per person, per day. And then add an additional 3 days’ worth in the event of things going pear-shaped. You can survive 3 weeks without food, but only 3 days without water. So, if water resources are scarce, moderate consumption, as you need water to digest food. Supplement your food with a little 'outback cuisine'. For instance, you can set-up snares for small animals. If you don't have wire in a survival kit, improvise with some retrieved from under your bonnet. Feel free to shed urban preconceptions about what constitutes 'food'. For example, did you know that grasshoppers (by weight) have more protein than beef? And, if you know your plant species, remember what flour comes from—seeds. For example, acacia and wattle seeds can be ground to make flour, or eaten raw.